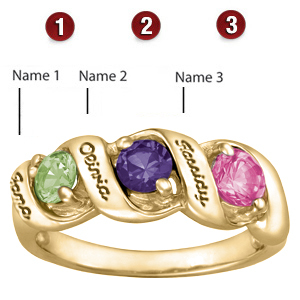 The 14kt yellow gold Melodic Rounds ring boasts three 4mm round genuine birthstones. Engrave up to 10 characters in each engraving area. Import.